QEM Network received a one-year seed grant from the Annie E. Casey Foundation to coordinate and facilitate a community of Historically Black Colleges and Universities (HBCUs) faculty, who are committed to education and research to advancing socially conscious juvenile justice reform. Historical relationships between the Black community and law enforcement officials in conjunction with recent national events underscore the need for juvenile justice training, research, programs, and advocacy at HBCUs. Connections with regional and national juvenile justice leaders/experts to inform the curricula. The project has recruited six three-person teams from the following HBCUs: Bowie State University; Coppin State University; Delaware State University; Howard University; University of the District of Columbia; and Virginia State University. 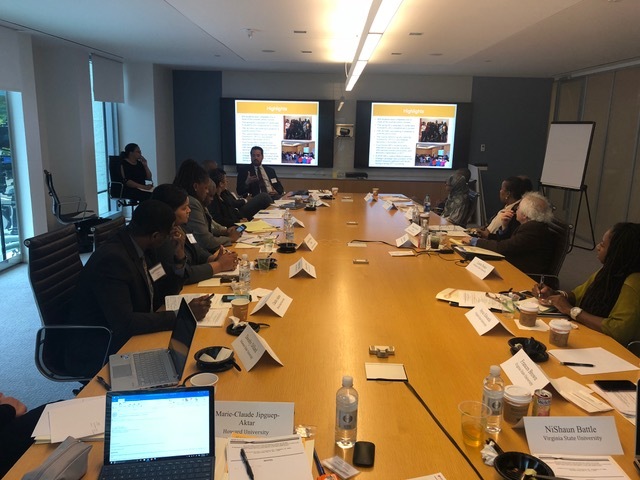 The project facilitated a network of criminal/juvenile justice faculty/administrators from six HBCUs through virtual and face-to-face meetings. As per the updates provided at the October 2018, webinar, the institutions have made great strides in pursuing curriculum reforms that incorporates racial equity and youth development elements. All of the five institutions represented on the webinar are pursuing some form of curriculum reforms and partnerships with other institutions of higher education (within/outside the network) and/or with government agencies. A Howard University faculty also reported she recently published an article in the American University Law Journal. Participants have extensive training and experience in criminal justice field, their bios are below.